The styli shown on this page are NOT Original Ortofon but good quality substitutes precision manufactured in Switzerland to ensure performance closely matches original. 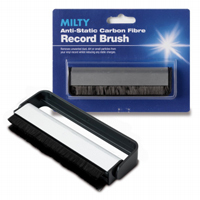 All styli supplied are guaranteed for defects in manufacture and quality for 1 year. Please note that many styli types are common accross many record player types so colour and labelling may differ from original application. Please check detail in owner manual or on record player for cartridge/stylus type and compare images for match before ordering as it is possible that cartridge types may have been changed or upgraded. If you have not been able to identify a particular stylus from the detail on our catalogue pages then please contact us with your player details and we will check it out! 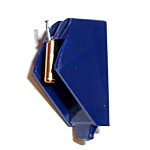 Stylus Profile: Elliptical Diamond, Cartridge Type Colour: VMS3E Blue (colour may vary on supply), Tracking Weight : 1.50 to 2.50 grams (2.00 grams - recommended). Stylus Profile: Elliptical Diamond, Cartridge Type : VMS5E Yellow (colour may vary on supply), Tracking Weight : 1.50 to 2.50 grams (2.00 grams - recommended). 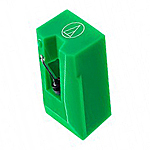 Stylus Profile: Elliptical Diamond, Cartridge Type: VMS10E MkII Green (colour may vary on supply), Tracking Weight : 1.50 to 2.50 grams (2.00 grams - recommended). Stylus Profile: Spherical Diamond, Tracking Weight : 0.75 to 2.00 grams (1.5 grams recommended), Colour : White (colour may vary on supply). Stylus Profile: Elliptical Diamond, Tracking Weight : 1.50 to 2.50 grams (2.00 grams recommended), Colour : White/Yellow (colour may vary on supply).